Bulgaria is a lot of things, including a country of stunning musicians. This applies to classical music, Jazz, Pop, Funk and other genres. 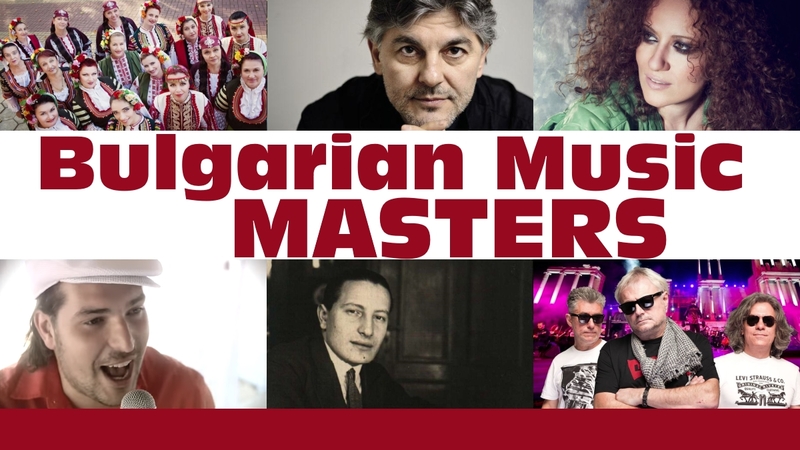 An incomplete list of 10 pieces, performed and mostly composed by brilliant Bulgarian musicians, can be explored here. (Note: On June 13th, 2018, all Youtube videos included here were available). They are The Mystery of Bulgarian Voices, while their French name, “Le Mystère des Voix Bulgares”, might be more famous, for a reason. For many decades, they have been active. The choir’s original name might sound less sensational: “The Bulgarian State Television Female Vocal Choir”. Whoever came up with that one, in the communist Bulgaria of 1957, hopefully regrets it by now, 60 years later. Actually, in 1952, the singing ladies were known as the “Ensemble for Folk Songs of the Bulgarian Radio”, which does not sound very different. But then the Swiss came along. When the ethnomusicologist, producer and radio show host Marcel Cellier was done with them, they carried the name “Le Mystère des Voix Bulgares”, which became official in 1997. He released an album for them on a small record label, Cellier Records, in 1975. A recording entitled “Le Mystère des Voix Bulgares, Volume Two”, released in 1989, even got a Grammy Award. Marcel Cellier, who died in 2013, also produced the Romanian pan flute hero Gheorghe Zamfir. The choir singers, new generations of whom have joined The Mystery of Bulgarian Voices over the years and decades, are being chosen in Bulgarian villages. Apart from their voices, their beauty counts as well. Then they are being trained in the singing style the choir uses, which is centuries old. It includes a distinctive timbre and dissonant harmonies. “Satin Doll” is a Jazz classic composed by Duke Ellington and Billy Strayhorn. But this version has a very Bulgarian twist, thanks to Theodosii Spassov, one of the most prominent Bulgarian musicians. Spassov plays the Kaval, an ancient, wooden shepherd’s flute, which is one of the oldest instruments used in Europe, with eight holes. Spassov is famous for mixing traditional Bulgarian Folklore with Jazz and Fusion. “He has actually invented a new musical genre.” This is what Newsweek accurately wrote about Theodosii Spassov 23 years ago. When he played with “Le Mystère Des Voix Bulgares”, they even received a Grammy Award. Theodosii Spassov, who is 57 years old, also is into motion picture scores. He recorded tunes for Ennio Morricone and other film theme composers. And he tours the world with fellow artists, as well as his own groups. His interpretation of “Satin Doll” is part of his ‘Bratimene’ album, recorded in 1998. “Bulgarian Funk? Are you kidding me?” Nobody is kidding anyone here. In the early years of this millennium, a band called Grupa TE came up with funky Pop tunes, which fascinated the entire country. The band around the genius composer, pianist and keyboarder Yassen Velchev changed its members at some point. Preslava Peicheva has been they lead singer for some ten years. This funky peace is an excellent example for Pop-Funk made in Bulgaria. Amen. Let’s get to some very serious sounds. Listening to this piece, which Pancho Vladigerov composed at the age of 19, is like looking at landscapes, or beauty in other forms. His music tells stories, is full of emotion, contains suspense, and belongs to the most wonderful symphonic pieces ever written. Pancho Vladigerov was born in Zurich on March 13, 1899, but spent his first few years in Shumen, Bulgaria. In Sofia, little Pancho was taught to play the piano. He also learned about the theory of music. It did not take long, until he started composing pieces of his own. In 1912, at age 13, he started studying composition and piano at the State University and other institutions in Berlin. After his military service in Bulgaria, he graduated in 1922. Even before his graduation, Vladigerov won the prestigious Mendelssohn Competition twice. It was 1932, when Vladigerov, a Bulgarian Jew, finally returned to his home country. In Sofia, he occupied a professorship position at the State Conservatory. He taught countless students, including some who would be famous as well, including the great Milcho Leviev. Vladigerov composed “Czar Kaloyan”, the first Bulgarian opera which would get attention abroad as well, and symphonies, but also vocal and instrumental works of different kinds. He died on September 8, 1978. This piece is the third movement of Vladigerov’s “Piano Concerto No.1 Op.6”. This version was performed by the Bulgarian National Radio Symphony Orchestra, conducted by Alexander Vladigerov, the composer’s son. Bulgarian Salsa? What sounds like a pretty good joke, is actually none. Tumbaito delivered exactly that, some years back. Salsa sung in Bulgarian, in a video clip shot at the Black Sea, instead of the Caribbean. This hit exploded all of Bulgaria. And Tumbaito is still active. Another good example for sophisticated Pop Funk, especially when played live, is the material sung by Beloslava. Her gigs have raised roofs and mesmerized thousands. This particular piece was written by yet another Bulgarian genius, Jivko Petrov. The brilliant pianist, composer and arranger Milcho Leviev needs a big introduction. Here it is. We recently devoted an entire article on him, when he celebrated his 80th birthday. In this case, he plays a Fusion piece entitled “Remembrances of Tomorrow”, which was recorded in 1978. It’s the first time Leviev included a slap bass, maybe since that playing technique was coming up during those times and he was experimenting with it. Even though he is one, calling him a Jazz pianist would not do him justice, since Jivko Petrov does it all. One day he would play some of the most fascinating Jazz pieces Bulgaria has to offer. The next day he would play a classical piano concert, after which a Bossa Nova night might be on his agenda. Not only does Jivko Petrov, one of Bulgaria’s most brilliant pianists, do all of the above, but he also composes. His work includes Jazz pieces, but classical and Pop tunes too. As musical director for singers such as Beloslava, or as a producer of albums recorded by vocalists, he is just as gifted. Jivko Petrov’s passion for Bossa, but also Funk, is audible in his Jazz compositions too. With his project JP3 (or Jivko Petrov Trio), he has been delivering the finest Contemporary Jazz pieces ever, for eleven years now. Their first big gig in 2006 was recorded and immortalised on a DVD entitled “Understandable”. For JP3, he teamed up with bass hero Vesselin Vesselinov and the truly versatile drummer Dimitar Semov. The act they created turned out to be successful. JP3 stood for sophisticated Contemporary Jazz back then, and it still does today. It gets better: One of JP3’s gigs will take place in Sofia in a week from now. On Thursday, November 30, 1017, they will hit the stage at Sofia Live Club. 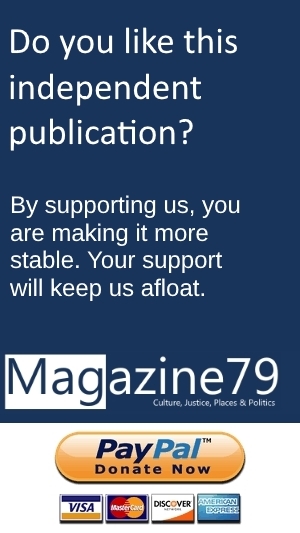 This time around, their motto is “Still Understandable”. Contemporary Jazz made in Bulgaria, at its best? The answer is JP3. One of the most legendary Bulgarian groups of the past four decades was, and still is, FSB. They have always been very diverse, what their genres are concerned. This peace is a very sophisticated Pop Funk composition, which was recorded in communist Bulgaria, in 1978. When they play it during the gigs they perform today, the audience goes wild. FSB are a very capable band. They cover it all, from Rock to Fusion. In communist Bulgaria, musicians were told what to play and what not to play. Those who did not give a damn what kind of music the regime wanted people to hear, were threatened. But someone with decision power, possibly at the Ministry of Culture, must have given The Sofia Orchestra permission to funk things up a little in 1980. Dimitar Simeonov, Georgi Borissov, Todor Karapetkov and four more musicians were part of that band, some 38 years ago. Their tune “С теб е бил той” (“You Are the One He Was With”) was actually composed and performed in the “decadent, imperialist” West, under a different title. The Real Thing was the most successful and one of the most brilliant Soul and Funk acts in the United Kingdom during the 1970-s. In 1979, they released their single “Can You Feel the Force?”, a Jazz-Funk tune with a great horn section, a killer intro, off-beats and a lot of energy. “С теб е бил той” was an intended copy, or, to be more polite, an interpretation of “Can You Feel the Force?”, released on the state-owned “Balkanton” label. But, copy or not, The Sofia Orchestra must have made people dance. Funky Bulgaria in 1980? To a certain extent, yes.